As people of faith, we know that some of God’s greatest gifts to us are our loved ones – family members and friends who walk with us on our journey through life, who share love and laughter, encouragement and strength. 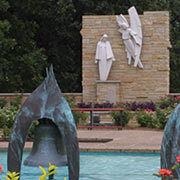 The Memorial Program at the National Shrine of Our Lady of the Snows was created by the Missionary Oblates of Mary Immaculate to honor and remember the people we love, to celebrate their lives and to recall the special times we’ve shared with them. 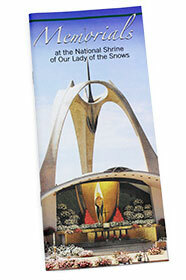 You can honor a loved one or commemorate a special occasion with a Memorial at the Shrine of Our Lady of the Snows. With more than 200 beautifully landscaped acres and several prayerful devotional sites, the Shrine is a wonderful place to remember a loved one forever. Visitors to the Shrine are asked to pray for those who are memorialized. Every day Oblate priests and brothers the world over remember those who have been memorialized at Mass and in their prayers. When you have a Memorial placed at the Shrine, you honor a loved one – and you reach out in love to poor and needy people in Oblate mission lands. Donations for Shrine Memorials support Oblate ministries in the United States and in more than 60 other countries around the world. 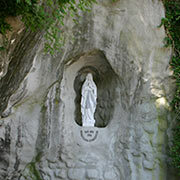 The Lourdes Grotto is a replica of the renowned Sacred Grotto in Lourdes, France. The Mothers Memorial Wall honors Mary, the Mother of Jesus, and all mothers. 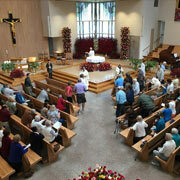 The Church provides an indoor worship space for liturgies and other special events. 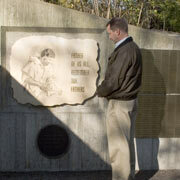 Located in a wooded area, the Fathers Memorial Wall is dedicated to Joseph the Carpenter and all Fathers. 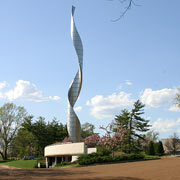 The stainless steel Millenium Spire symbolically sends the prayers and intentions of Shrine visitors and donors up to God. 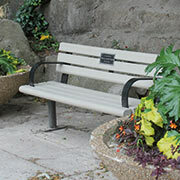 Larger and distinctive Memorials (including benches) are also available at several devotional sites at the Shrine.